Got a little one who loves Strawberry Shortcake? You are going to love this for the upcoming winter months. One of you can win a copy of this movie- feel free to enter using the RC form below. Ends Feb. 12, 2015. Good luck! My niece! =) I am excited! I hope I win the prize! I would love to win this for my nephew, thanks for the chance! My little granddaughter would love watching this cute video. Thanks. I would like to win this one for my nephew who is totally into this. I would love winning this for my girls. Thank you for the opportunity. I want to win this for my daughter. I admit that I still love Strawberry Shortcake so would enjoy watching it with her. I would like to win this dvd for my daughter. I am excited! I hope I win the prize. She would enjoy watching this. id love to win this for my four year old brianna. she loves strawberry shortcake. I would like to win this for my daughter. I am excited! I hope I win the prize! I want to win this for my daughter. I am excited! I hope I win the prize! This is a cute show! My niece and my daughter would both love to watch this together! I would love to have this for my daughter because she is a big fan of Strawberry Shortcake! And I love being able to share some memories with her because I grew up watching it too! I want to win the DVD for my niece. I think it will be a nice movie for us to watch when she comes to visit. I would love to win this for my granddaughter. She is a huge fan of Strawberry Shortcake so I’m sure she would enjoy watching this. I am excited! I hope I win the prize” for my son Austin. he is 15 months but loves watching cartoons. I’d like to win for my 5 year old daughter. She’s a big fan of strawberry shortcake. This would be for Josie. She would so enjoy this! I want to win this for my grandchild. I am excited! I hope I win the prize. I would love to win! My niece would love this! I want to win this for my daughters. They love strawberry shortcake! My daughter is a big Strawberry Shortcake fan. I am hoping to win, because her birthday is coming up, and she would really enjoy this for a present! I want this dvd for my neighbour . If she doesn’t like it; I’d give this to Toys for Tots. I am excited about this giveaway. If I win I will share it with my niece. Thanks for the giveaway. My little girl will love this, but I’d enjoy it just as much! Who doesn’t love Strawberry Shortcake?! Need this to watch with my daughter and snuggle up with a nice cup of hot cocoa! I would like to win this for my daughter. I am excited! I hope I win the prize. I want to win this for my 7 year old niece she is a big SS fan!! I would give this to my nieces. They love Strawberry Shortcake. I would like to win this for my niece. She really loves strawberry shortcake. wanna in for my niece. I am excited! I hope I win the prize. I would love to win this for my niece! She loves Strawberry Shortcake! I want to win this for my daughter. She likes watching Strawberry Shortcake online, and I know she’d love her own DVD. Thanks for the giveaway! I have always been a big fan of Strawberry Shortcake and I think my granddaughter would love them too. I’d love to win this for my daughter Abby!! I’d love to win this for my niece. 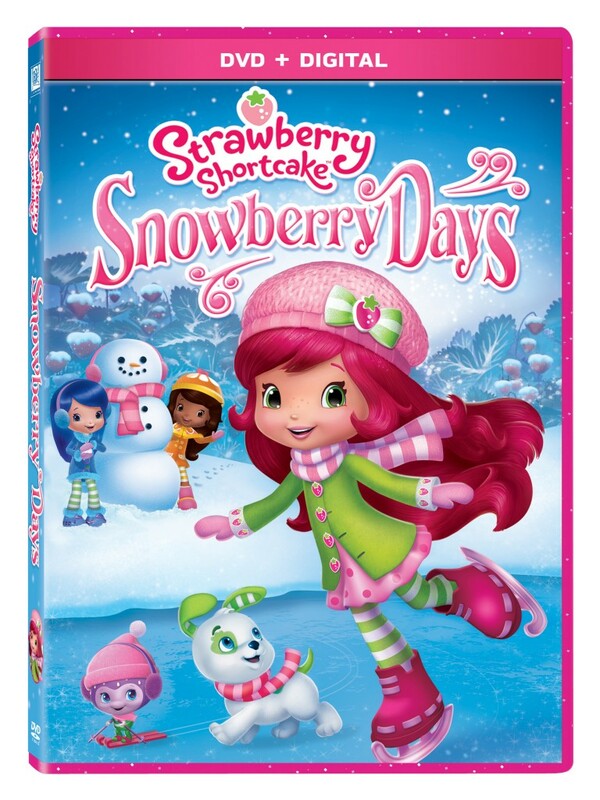 She loves Strawberry Shortcake and would enjoy watching this. I would like to win this DVD for my kids. I would love to win this for the girls in my 2nd grade class. We’re always looking for great prizes for the treasure box. I’d love to win this for my daughter. She would love it. Thanks for the giveaway. I watch my cousin’s daughter on a daily basis. I would love to win this DVD for her to watch while she is here with me. I want to win this for my daughter. She would be so excited. She loves this show! I want to win this for my daughter. She is a huge fan. My daughter would love this so much! Perfect birthday gift. My great niece would love this. She is a huge strawberry shortcake fan.